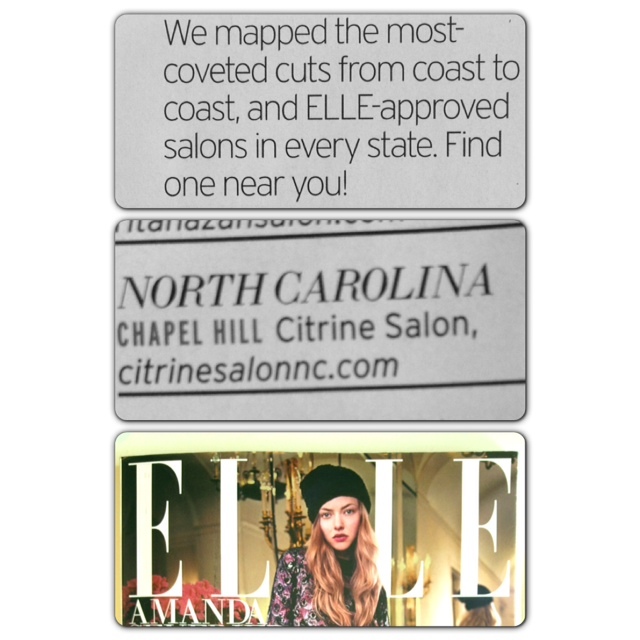 We are in Elle Magazine for the 3rd year in a row! We could not be any happier here at Citrine Salon. We love our clientele and thank you so much to everyone for all of your support and loyalty to Citrine Salon, the #1 salon in North Carolina. Need we say more!? 3rd time is a charm!